Summer a great time to head to a local farmers market to stock up on fresh fruits and vegetables. Across the region, most farmers markets open in early May and will close late October-early November. Remember, though, just because it’s healthy for us, doesn’t mean we should share with our four legged friends. Keep reading to find out what seasonable fruits and veggies everyone can enjoy. This green veggie is packed with fiber, and vitamins A, C, K, and manganese. They are also low calorie so while your pup fills up, they won’t put on the pounds. This melon is a staple in the summertime. It contains vitamins B-6, C, fiber, niacin, and potassium. Vitamin A will also help promote vision and beta-carotene can help reduce the risk of cancer and prevents cell damage. Can an apple a day keep the vet away? 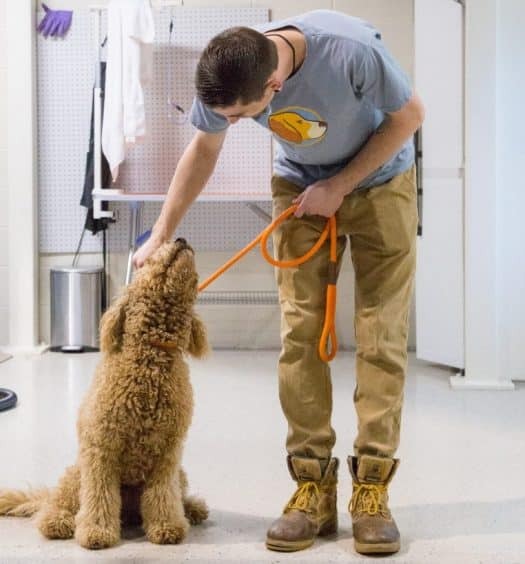 Probably not for every visit, but your dog will get a healthy dose of vitamin C and the skin on an apple contains vitamin A and pectin, a fiber that can aid in digestion. Just be sure to avoid the seeds. Belly problems are no fun for our pups. Pears contain pectin which helps to strengthen the intestines. They are also loaded with fiber which promotes colon health. Like the cantaloupe, these fruit can be found at picnics and BBQs, but they are also a tasty treat for our pooches. They are an excellent source for vitamin A, B-6, C, and thiamin. Since they are made up of water, they are a great snack on a hot day. Just be sure to remove the rind first. This herb is not only full of vitamins like calcium, potassium, and beta carotene, but it can help combat bad doggie breath. While they may not make an appearance at the local farmers market just yet, they should be mentioned since they pack a lot of punch in the way of vitamins, fiber, and aiding with upset stomachs. Grapes are a no-no as they can lead to irreversible kidney damage. Raisons also fall under this umbrella. While these veggies are tasty for us in sauce or on sandwiches, they can cause destruction of red blood cells and cause anemia dogs. Cherry seeds, peach pits, and plum pits contain cyanide, which is poisonous to dogs. These pits and seeds can also cause intestinal blockages. It’s best to just avoid these fruit for these reasons. Farmers Markets are a great way to eat healthy, fresh foods. 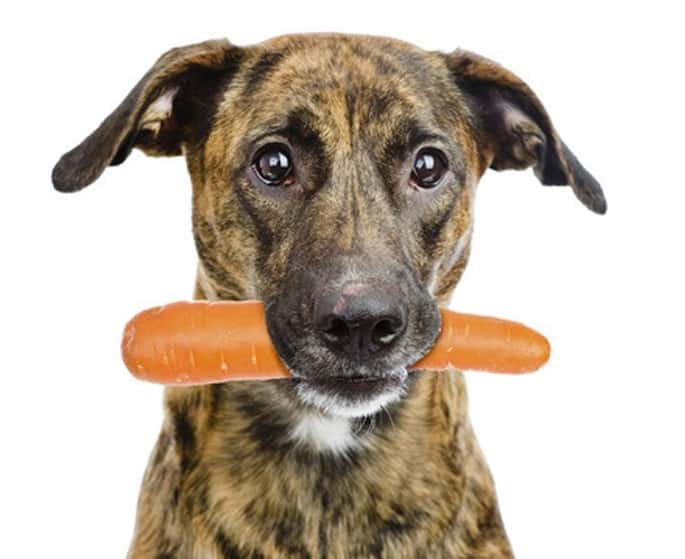 Be sure to stock up on fruits and veggies that also serve as a safe, tasty treat for your pup. To find a local farmers market near you, click here. To learn about other human foods that should be avoided in dogs, go here.